As the weather becomes cooler and summer turns into fall, we look forward to a new school year here at the Center for Christian Education. However, before we look ahead, we wanted to take just a moment to look back at the summer and savor all that happened one more time. In June we celebrated our 20th year of ministry here in Martin, as well as our “First Harvest”: the class of 2018, our first-ever graduates. 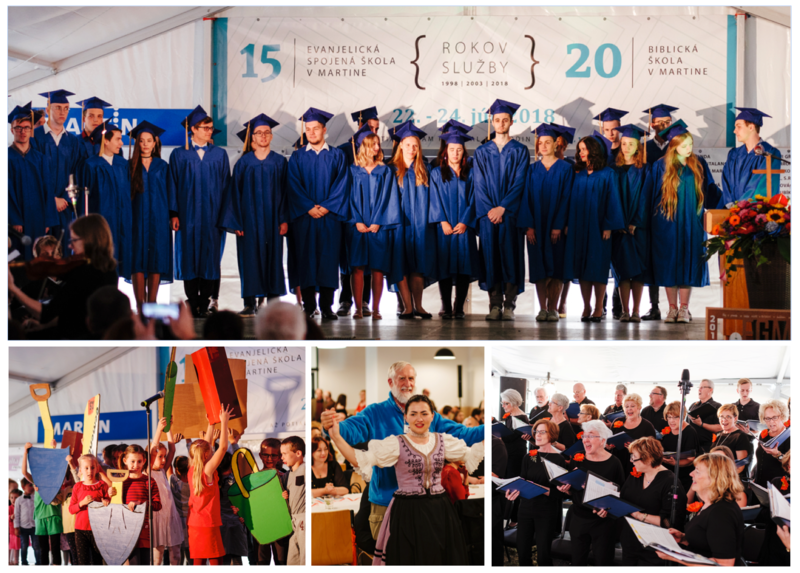 Many dignitaries from throughout Slovakia, media outlets, hundreds of community members, and around 150 US friends joined us for three days of programs, performances, reminiscing, and, of course, great food. Not only was this a chance to celebrate; it was also an opportunity to share with our countryman about God’s faithfulness in this place. They clearly saw that something special is happening here, and that God has His hand in it. It was definitely the high-light of our year. Besides celebrating big, we were also serving big in June and July. EGMT camp for upcoming 1stgraders of High School (50 students). 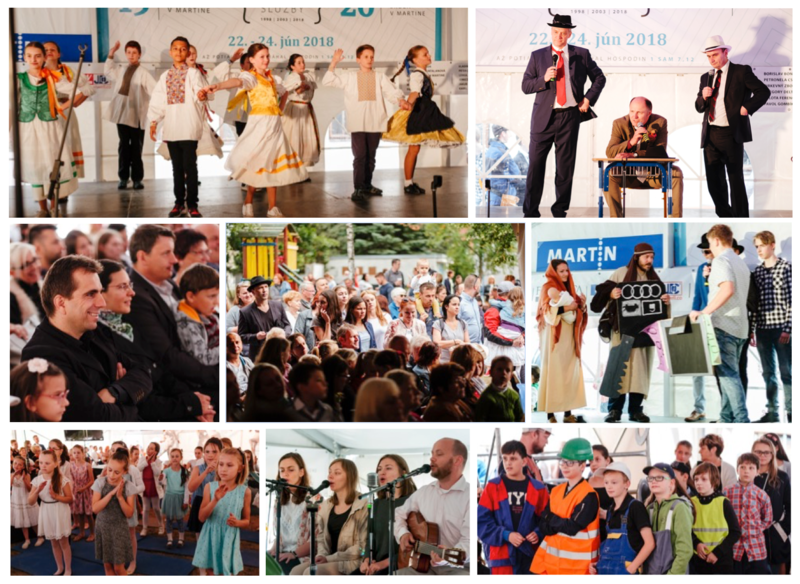 All this would not happen without dozens of American and Slovak volunteers, who freely contributed their time, talents, finances, and great energy so that our children and adults experience the love of Christ. Many thanks and please come again! Above all, thanks and praises to our God for the freedom and the opportunity to do this exciting ministry. After such busy but exciting time, two families from CCE (the Mineks and the Froľos) had a chance to spent 6-week summer sabbatical in the USA organized by our partner institutions. It was not only time for their spiritual recharge but also a great opportunity for personal visits with our supporters, especially those who have never been in Martin. We would like continue on these visits to support our staff and teachers in their important ministry. On September 3, we started the new school year. It is a special one, because, for the first time in our CCE’s history, no new programs or new grades were added. That is actually a great news, as we expect less stress and can focus more on the quality of the education our 741 students receive. Knowing that a school is only as good as its teachers, we want to address their specific issues, resourcing them with all they need to offer the best possible education. We also welcome a number of new colleagues this school year, including our new US teacher Kierra Blackstad. Our old-timer Adrian Kacian, who has been an integral part of the ministry since the very beginning, now joins our staff full-time as he leaves his position at the University of Žilina. Having more of him is definitely good for us. Overall, this looks like yet another productive year in CCE. One of the things that sets us apart from other schools is our desire to have an impact on the character and spiritual growth of our students. With that in mind, our theme for this year will be “The Visible Word”, the Word that was in the beginning, was and is God, and through Him all things were made (cmp. John 1:1-3). We’ll continually be challenging ourselves and our students to answer this question: How do we make this Word visible to the world around us? Our hope is to be more intentionally focused on what we believe and how we communicate it. 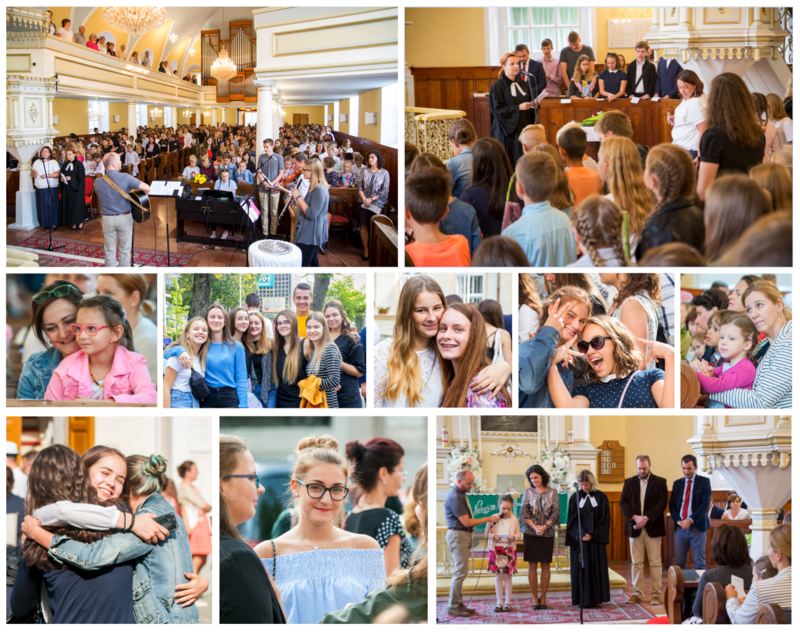 We would be grateful for your prayers for our students and staff – that God would do all He needs to do in each of us, so He can do all He wants to do through each of us. Of course, there still are real and true financial needs in the months ahead: two new classrooms are a must by next September, a gym and the rooms to offer art, music, and sports to enhance the quality education, the continued repayment of our loan. But, as evidenced by our celebration of this last summer, we know we can trust God to provide all we need to continue His work here in Martin. We’re grateful to each one of you for your continued support: through your prayers, your financial giving, your visits to our school, your supportive notes and emails. All of these encourage us to trust God for His provision and His ability to meet all of our needs – at just the right time.